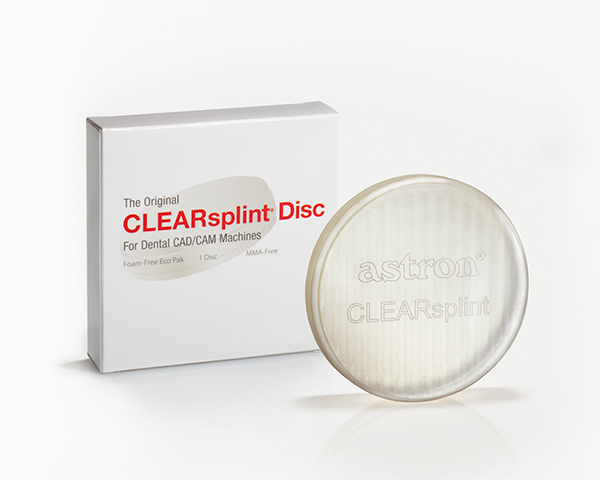 Astron’s proprietary CLEARsplint® material has been highly regarded and trusted by dentists and labs for more than 20 years. There’s no better material for making Nightguards and splints that alleviate pain and prevent further destruction of healthy dentition among bruxing and grinding patients. 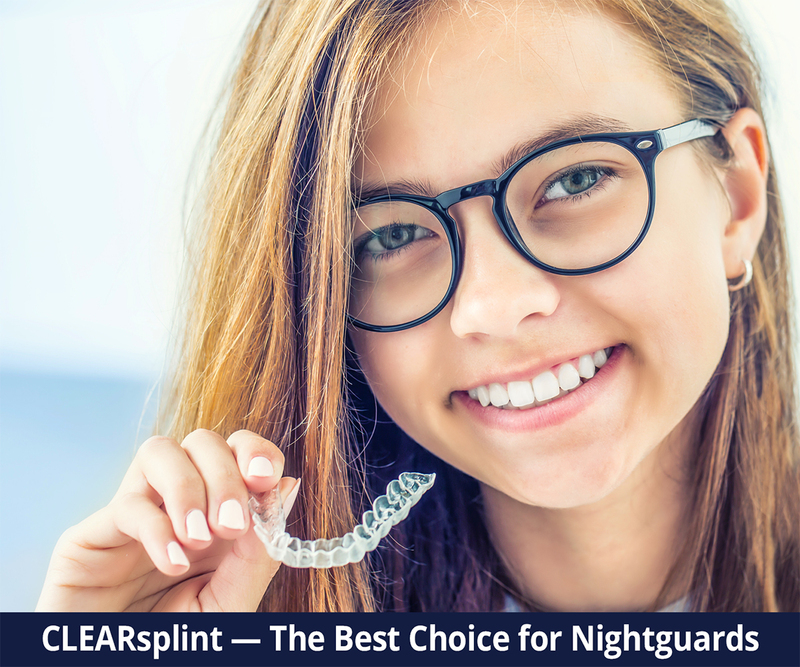 CLEARsplint nightguards are nearly invisible when worn and self-adjusting for increased patient comfort. Both varieties are amine and methyl methacrylate-free, so they will never yellow and eliminate allergy problems. Self-adjusting, with superb accuracy for the closest fit, which not only makes for greater patient comfort but reduces postoperative chair time. 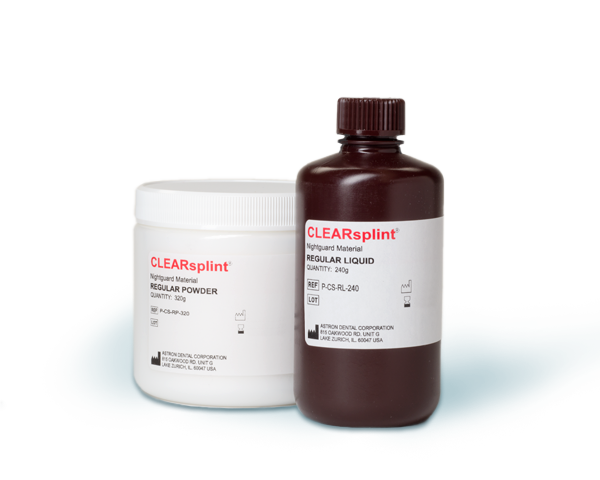 CLEARsplint’s dimensional stability means fewer adjustments, and the composite formulation can be press-packed or poured. Repairs can be made using a cold cure acrylic or the original material. Patient’s love the optical clarity, wearability, and comfort, rating them excellent. Available in regular and extra-flex varieties, in three sizes: lab kit, economy kit, and super economy kit. Allows creation of nightguards with the same strength, stability, comfort, and optical clarity as regular CLEARsplint nightguards, but without mixing, molding or casting. Simply take a digital impression, and then let a CAD/CAM machine do the work. Labs choosing the CAD/CAM process eliminate unnecessary staff hours, saving time and money. Discs are available in three sizes to fit most CAD/CAM machines. Sold as 1 single disc or packs of 3, 6 or 12. “CLEARsplint is perfect for a premium splint.